Yes, you could certainly do this at a technical level. NSX has very limited integration with the underlay network and provided that the ACI platform is configured in a specific and limited way, you certainly could run both. No, you would not do this as a business level because of the cost. NSX licenses sell for around $4000 per CPU socket. 2 sockets is standards so $8000 per server. Total cost $8000 + $5000 + $7500 + $4000 = approx $25000 for a single Enterprise server. Keep in mind that the ACI/NSX cost is roughly 50% of the total server cost here. Thats the “value proposition” that this type of SDN has to overcome inside the enterprise when the current networking strategy works OK and budgets are flat. Customer takes the risk of improving productivity and operation (and reducing operational costs) against the certainty of increased spending for CapEx & OpEx by putting money into the vendors pockets for their products. 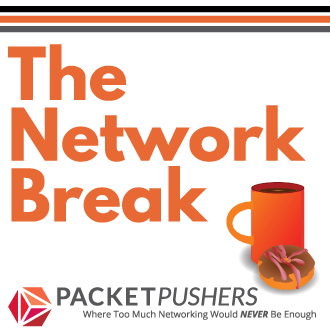 It is hard for the CIO/Network Architect to believe vendor sales claims of increased SDN productivity and lower-risk change when the overt increase in the bottom line cost is so substantial. Plus the hidden extra costs of maintenance & support have large impacts on OpEx budgets. Most likely you won’t run either product today because of the additional cost and uncertain benefits you might gain from SDN. PS: Read the comments on Brad Hedlunds post On choosing VMware NSX or Cisco ACI (skip the article, it’s marketing double speak that has no value) which neatly identifies many of the limitations in the VMware NSX product. For fairness, Cisco ACI has the same limitations with the policy engine being very limited today. (I’m sure both companies are making promises to solve the limitations and maybe even working on them). I think you’re missing a third zero in that total cost figure. Technically you cannot run NSX and ACI in the same vSphere environment. The binaries required for NSX cannot co-exist with the AVS/1kv binaries on the same ESXi host. But highlighted that the cost of ACI with AVS is about the same as NSX as a rule of thumb. Greg, I believe that the pricing information that you have is inaccurate on the VMware side, but it is certainly wrong on the Cisco ACI side. ACI is not licensed per server, but per Leaf (ToR). However you do the math (including or not the hardware), the figure you put out for ACI is simply wrong (by an order of magnitude if considering the ACI licensing). Also, AVS license is included on the per-Leaf ACI license at no extra cost. On vSphere environments, AVS is an optional component. ACI can work with DVS. You can also connect ESXi hosts with NSX-controlled DVS kernel modules. In fact it works even with the standard vSwitch, albeit you will certainly get limited automation on the virtual networking space. When running with DVS, ACI can support both VXLAN-backed port groups and VLAN-backed port groups. The latter is a real advantage when you don’t have servers with NICs that do VXLAN offload because in this case performance is significantly impacted at the server level. Because VLANs have local-significance between the server and the fabric Leaf, you are not limited to VLAN space only in that case: you get benefits of VXLAN scalability without impacting server performance. But again, it’s just an option. Thanks for your comment. The pricing numbers here are “rule of thumb” and based my actual experience of ACI & NSX pricing in reflected in the figures above. While there are low cost starter kits or claims of lower pricing, actual pricing in useful environments is much higher in my experience. AVS is not included in the pricing here but mentioned as an extra. I’ve highlighted that you can’t run both AVS and NSX in ESX. The rest of the technology discussion is irrelevant in this context and why I avoided it. The purpose of the article is to highlight that the cost of both ACI and NSX makes it impractical to choose both technologies. Or impractical to buy as single products for most/many companies today. We will see what the future brings. I understand the purpose of the article and that is why I added a comment, because using the wrong data leads to wrong conclusions. In fact, because ACI is priced competitively, running NSX with ACI isn’t unthinkable. The ACI leaf license for 48 server ports is List $13,000. If you single home the servers that’s $270 per server, double that if you dual home them to another Leaf. As you can see, in LIST – not street price – this is an order of magnitude below your “rule of thumb”. This is not considering low cost starter kits or anything like that. I do not understand your comments about “actual pricing in useful environments” … please do detail your source on the $5,000 per server for ACI because it is plain wrong and you have been given incorrect information. AVS is not included in pricing … because it does not add to the pricing. The license of the leaf that mention includes corresponding number of AVS licenses. So if you use AVS you don’t pay extra. You can’t run both AVS and NSX DVS at the same time, that’s true, thanks for making it clear. But you can run NSX DVS on top of ACI. And you can run DVS with ACI providing for port-group automation. I certainly agree that current NSX offering and licensing makes it impractical for many companies, but the same isn’t true for ACI. Benefits of ACI aren’t restricted to network virtualisation or pervasive policy or virtual environments, but also to fabric automation and management simplification, whether you run virtualisation or not. And many companies small and large are seeing how this is practical. That you like or dislike the technology is a different story, and all opinions are legitimate in nature because they are, well … just opinions. The component you mention is a very small part of the total components needed to build a complete ACI solution: “The ACI leaf license for 48 server ports is List $13,000. If you single home the servers that’s $270 per server”. You need switches, hardware, licenses, cables, SFPs etc which add up. Note that Cisco pricing on these components (especially SFPs) is significantly higher than competitors. Also, I like the technology of ACI well enough however it doesn’t offer compelling value for the price today. Tomorrow, of course, may be different. Greg, … the switches, hardware, cables, SFPs, etc. … you need those whether you use ACI or not. For whatever overlay solution you consider you need those. ACI incremental price is only the licenses and the APIC on top of the common switches, hardware, SFPs, etc. I’ll agree with Greg in the sense that an “overlay” by itself is not that interesting and on it’s own difficult to cost justify for a typical Enterprise. By “overlay” I’m talking about creating dynamic L2 segments and the L3 routing between them, essentially what ACI provides out of the box. When considering the value of NSX licenses, customers are far more interested in the Security (micro-segmentation), Load Balancing, and VPN services that NSX provides “out of the box”. The “overlay” is there to provide dynamic connectivity for these services when necessary. To that end, Greg’s pricing for ACI may not be that far off after you’ve added in the costs for 10G ASA firewalls and other Load Balancer appliances that need to be bolted-on to an ACI deployment. I don’t think the load balancing functionality of NSX is really mature or rich enough to be considered a worthwhile replacement of most common products in the market today. It very much looks like the ‘runt of the NSX litter’ to me. Disagree. The NSX LB has pretty much all of the table stakes features you’d expect from a production worthy LB. It has an L4-L7 engine, SSL Offload, Cookie support, HTTP get/option/post health checks, multiple persistence options, HA, and so on. And it comes from a mature code base via VCNS. It’s not intended to compete feature-for-feature with the top name brand LB appliances. Its purpose is provide enough features to support most applications. For other apps that really need the special features, great, use the best LB appliance for those apps. Me too 🙂 If NSX was an SME product this would make sense but I’m sure its not. I wouldn’t want to use this with Exchange, most corporate applications or anything at scale, which I feel negates some of your arguments around ACI pricing. 1) Re-inventing the wheel, badly. If this were ODL I’d understand but why ‘roll your own’, or draw on a product that did (originally from HA-Proxy perhaps?) You could have bought A10 or any one of a number of similarly sized or smaller companies at a relatively low cost and had close to contemporary feature parity. As things stand you’ve rewound the feature clock back 5-10yrs or forced your customers to spend more on dedicated appliances (and the required integration work), making this NSX feature worthless and irrelevant. 2) Building/aiming networking products for/to sysadmins. Yes, I know, this is the point of NSX in many ways and isn’t uncommon. Regardless, and related to my prior point, providing bundled products that are gross oversimplifications of the real thing to those who can’t really judge or compare their value is doing everyone a disservice in the long run. Sure, I’d rather what I get paid to do doesn’t become someone else’s responsibility and that probably informs my thoughts but equally, I often get paid well to resolve the messes that this can result in. Perhaps I’m taking it all a bit too seriously? 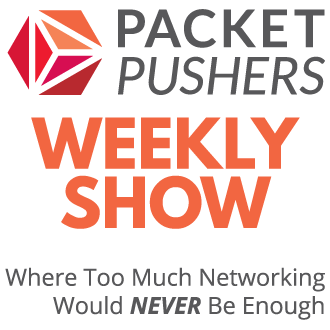 I’ve been waiting a long time for networking to change, in any way at all. I really want that change to be positive. Whilst I understand that change will be disruptive and sometimes things have to get worse to get better and there’s always pain involved, I’m frustrated at present. I’m an optimist feeling rather pessimistic. Hopefully that’ll change and NSX’s future will contribute to that. I agree with this Brad, I did a few one-arm and many implementations where the SSL terminates on the LB, and coming from the world of Cisco ACI and F5 – I honestly couldn´t find any major difference in the functionality. Better to expand on those pricing calculations (especially for ACI). As it is – too vague to be taken for granted.